For many New York state and federal prosecutors, indicting and convicting white collar criminals is a priority. These cases often attract media attention and win publicity for authorities, and their effort to build a case against you will likely be relentless. 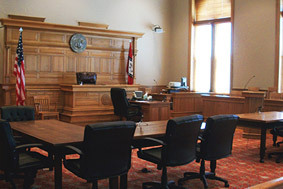 You need an experienced lawyer who can skillfully match and counter these efforts. Conviction on felony charges such as embezzlement, fraud or enterprise corruption could mean a lengthy prison term and irreparable damage to your career. 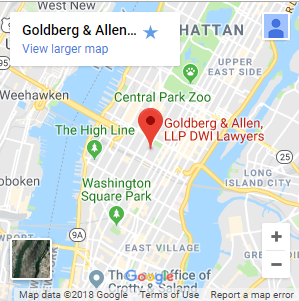 If you have been arrested or contacted as part of a government investigation — even as a witness — contact us at Goldberg & Allen, LLP, for savvy legal guidance that could make the difference for your future. Charged With Or Under Investigation For Criminal Activity? Do You Need A Fraud Or Theft Defense Attorney? Call Us Today. All kinds of people come under investigation for white collar crimes they may never even have heard of: executives, assistants, accounts, licensed professionals and others. We know your case may involve decisions you made because of personal hardship, pressure from superiors, or a vast range of other factors. Now is not the time to seek low-cost, unproven legal representation — and talking to authorities without an attorney could be a move you regret. Contact us for a free consultation with a defense lawyer determined to keep you out of court altogether, negotiate for restitution or other manageable consequences, or drive for acquittal in state or federal court. Call 212-766-3366.